The Club de Amigos is a scheme that rewards your loyalty. Start enjoying the advantages offered by the Club de Amigos. The purpose of this document is to regulate the BASIC OPERATING CONDITIONS FOR JOINING the Club de Amigos programme, which offers members the chance to access the best promotions and benefits when using accommodation and other services provided by Amàre Hotels. A pre-requisite for programme membership is the full and unreserved acceptance and validation of each and every one of the operational Terms and/or Conditions set out below. Notwithstanding the foregoing, Fuerte Group reserves the right to amend these General Conditions, subject to due notification. Stays are counted from 2013 onwards. Stays directly booked with us since 2013 will be taken into account. If a guest does not stay at our chain for more than 3 consecutive years, s/he moves down one by one category. 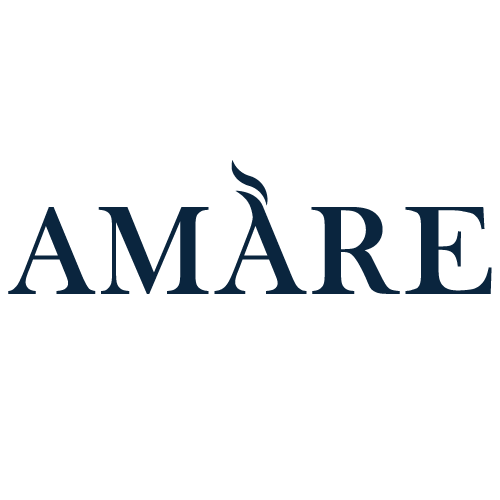 Amáre Hotels can, among other things: change the capacity to win, withdraw, limit, modify or cancel any prize, cancel or change the prizes of commercial members or add restriction dates for hotel prizes. Amáre Hotels does not take responsibility for commercial members who withdraw from the Amáre Hotels Club de Amigos programme, for the changes to the service or for cancellations of the Amáre Hotels Club de Amigos due to their withdrawal. The Amáre Hotels Club de Amigos may continue until the Amáre Hotels Club de Amigos, at its total discretion, decides to designate an end date for the programme. 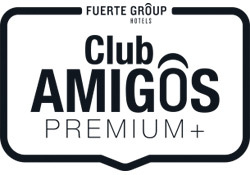 Amáre Hotels Club de Amigos has the right to end its loyalty programme. In order to do this, it will give the members who are active at that time two months’ warning in writing. An “active member” is a member who has stayed at a Amáre Hotels establishment in the previous 12 months. The membership of a Amáre Hotels Club de Amigos member can be suspended at the discretion of Amáre Hotels if he/she does not partake in any Amáre Hotels Club de Amigos activity for 12 consecutive months. All the advantages of the Amáre Hotels Club de Amigos will be lost at that time. The Amáre Hotels Club de Amigos can, without prior notice, suspend the participation of a member in the programme if he/she does not pay his/her hotel bills on time, or if he/she appears to be using the programme in a way that does not concur with the Terms and Conditions or the purpose of the programme. The Amáre Hotels Club de Amigos may suspend the account of any member who acts abusively or in any way which contradicts the law. In the event that a member’s account is suspended all accumulated advantages and prizes from the Amáre Hotels Club de Amigos will be lost. 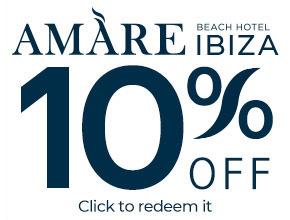 The sale or exchange of hotel prizes or commercial collaborator prizes or advantages of the Amáre Hotels Club de Amigos, except those carried out by Amáre Hotels, is completely prohibited. Hotel prizes or commercial collaborator prizes or advantages of the Amáre Hotels Club de Amigos which have been transferred, sold or assigned for these purposes, can be confiscated or cancelled. In the event that a hotel or resort ceases to operate as Amáre Hotels or any hotel brand which is owned, administered, operated, allocated as a franchise or granted with a licence by Amáre Hotels or its affiliated firms or subsidiaries, Amáre Hotels Club de Amigos advantages will not be awarded for stays at that hotel, even if the reservation was made before the end date. In the event of a recorded death of a member of the Amáre Hotels Club de Amigos, the programme advantages are transferrable to the joint holder of the account or failing this, to someone who shares the same home address. A member can only have one Amáre Hotels Club de Amigos account. Companies, associations or groups cannot join the Amáre Hotels Club de Amigos. The term “Amáre Hotels” as used herein refers to all the hotels in the Amáre Hotels chain, as well as the hotel establishments which form part of the business group of which Amáre Hotels is a member, unless otherwise specified. The term “Commercial member of Amáre Hotels”, as used herein, refers to all types of business establishments with which the Amáre Hotels Club de Amigos is associated to provide advantages to its members. Confidentiality Policy: the personal data of our guests will be included in a computerised file, for the commercial promotion of accommodation, catering, leisure and property services of the companies in the Grupo El Fuerte, for which Fuerte Group, S.L. is ultimately responsible (Hotel Fuerte Marbella, Avda. El Fuerte s/n, 29602 Marbella).If you wish to exercise your rights of access, amendment, cancellation and opposition, you can contact our Commercial Dept. by ringing 900 34 34 10. I expressly authorise the Grupo El Fuerte to pass on this data to companies in the same group, for the aforementioned commercial purposes and improved customer service. The Basic Operational Terms and Conditions form a unit and are interpreted and applied in accordance with Spanish law. For any issue which arises with regards to the interpretation and application of these General Terms and Conditions, the parties, expressly waiving any jurisdiction which may correspond to them, expressly submit to the jurisdiction of the Courts of Marbella (Malaga). All you have to do is register on our website www.amarehotels.com in the Friends’ Club section. Fill in all your details and we will send you an email in which you will find a link to confirm your application. Once confirmed, you will form part of the club.If you prefer to register over the phone, please call our free number 800 84 34 93 and we will process your registration. Every time we have a special offer you will be the first to know via email or text message. 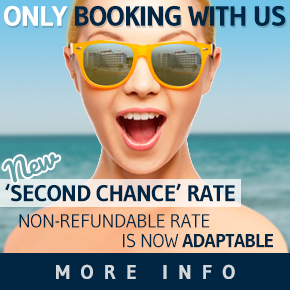 Book quickly to take advantage of the best deals. To enjoy the advantages of the Friends’ Club, reservations should be made in the name of the Club member. If you book through our website www.amarehotels.com, enter your user name and password in the Friends’ Club section. If you prefer to book over the phone, please call 800 84 34 93 (free number), informing our Reservation agent that you are a club member and providing your ID card number.If you book through an agency or an external company, please don’t forget to notify the hotel of this before your arrival by ringing our free number on 800 84 34 93. To cancel your registration and stop receiving notifications and promotions from Amàre Hotels, please contact us using your user name and password.